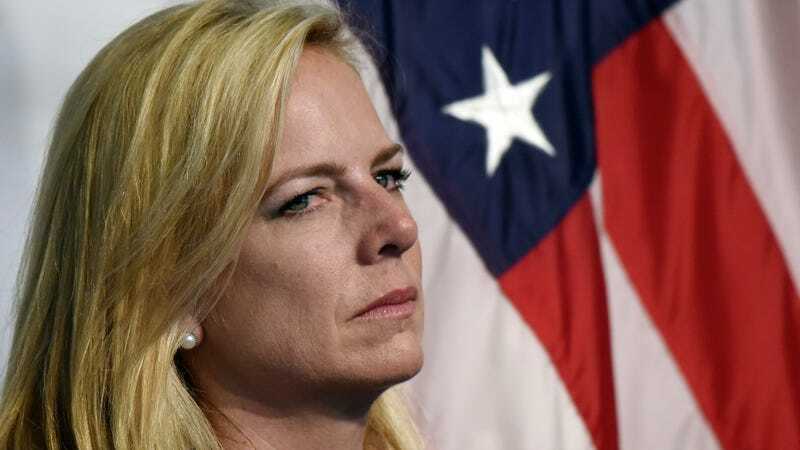 Kirstjen Nielsen may no longer be the head of the Department of Homeland Security, but the consequences of the inhumane policies that she championed remain. Just one example: the federal government is now arguing it may take up to two years to identify and reunite tens of thousands of children who were separated from their families in the months before the Trump administration’s so-called “zero tolerance” policy at the U.S.-Mexico border gained national scrutiny in the spring of 2018. In January, a report from the Department of Health and Human Services’s inspector general revealed that beginning in 2017, thousands more children had been separated from their families than previously reported. Thus, the total number of children separated from a parent or guardian by immigration authorities is “unknown,” because of the lack of a coordinated formal tracking system between the Office of Refugee Resettlement, the arm of Health and Human Services that takes in the children, and the Department of Homeland Security, which separated them from their parents. In March, as part of the ACLU’s lawsuit over the Trump administration’s family separation policy, the judge overseeing the case ordered that the federal government reunite families who had been detained and separated before he issued his June 26, 2018 reunification order. The ACLU’s Lee Gelernt told the Times that a two-year wait for these families was unacceptable, and that the ACLU plans to challenge this plan. “If the government believed finding these children was a priority, they could do it quicker than two years,” Gelernt told the Times.